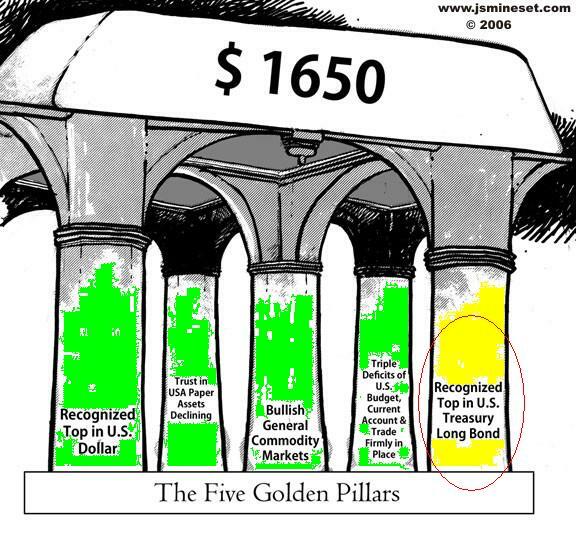 Part 2 HERE - "Shaking it Up"
Part 3 HERE - "Better Get a Grip"
Zulauf:........The U.S. dollar will strengthen against most other currencies, and it is a good time to buy gold, which is completely washed out. It is the most-hated asset class. If a panic hits, gold will rally. Black: In the absence of inflation, why should gold go up? Zulauf: Gold can protect you against many things. Inflation is just one. There will be a panic that brings back systemic fears. Those who wanted to sell gold have sold it. China last year bought the world's total production of physical gold. Western investors, asset-allocators, exchange-traded fund players have all sold their gold. Hickey: The GLD saw four years of inflows depart in one year. Rogers: .Newmont Mining [NEM] is my next idea. This is the first time in my career that I have owned a gold stock. Hickey: I have two gold stocks. The nice thing is, even with the collapse in the price of gold, these companies were able to earn money, particularly in the latest quarter. And, they are beating estimates, which is truly impressive. The first is Agnico-Eagle Mines........My other gold stock is Goldcorp [GG], Goldcorp has an $18.8 billion market cap, and 67 million ounces of proved and probable reserves.